Reilly is rear-facing in the Britax Marathon at 2 years, 8 months old. Reilly weighs 30 lbs. 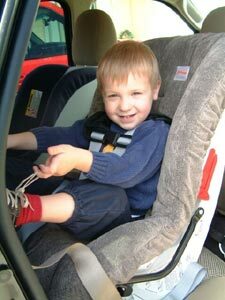 Reilly stayed rear-facing in the Britax Marathon until he was 3 years old, when he hit the rear-facing weight limit of 33 lbs.